Do you know that feeling when you start feeling like you might be getting hypomanic? Do you know how when you feel thatway, you have all that excess energy? You suddenly want to take on all the things you have been wanting to and have either been depressed or just did not have the motivation or energy to do. 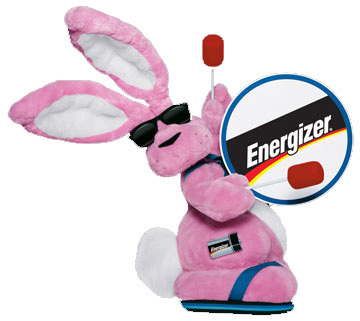 You don’t need to sleep as much and you go go go like the Energizer bunny. Well, I am not saying it is wrong to use that energy. However, I think there needs to be a limit as to how much you use it. If you don’t pace yourself and do too much at a time, it can easily lead into a manic episode. When you feel yourself getting hypomanic set reasonable goals for each day and only do those things. The rest of the things you want to do can wait for another day. By trying to fit too much into one day, you can over-stress yourself and that can lead to you going into that turbulent ride into mania. If you are like me, you want to avoid mania as it leads to doing things you later regret. Things will most likely get done during your hypomanic state, but if they don’t, it is better to not finish things than to end up manic and in the hospital or doing things that you would normally wouldn’t do that cause harm later. Over the 30 years I have struggled with bipolar disorder, I have learned a lot each time I cycle. I have just come to the realization, mostly because of my husband, that not everything needs to be done in one day. I need to pace myself and slow down once in awhile to relax. This is really important. I think trying to do so much at once is stressful and sometimes I don’t even recognize it. Stress contributes to mania and if I can limit the stress of trying to fit as much as I can in one day, then it really does help. If you are reading this and are hypomanic, challenge yourself to stop researching, sending emails, cleaning the house, making important phone calls, etc and make yourself watch tv, spend time with friends, listen to music without multi-tasking, sit in total silence for awhile. Decide what time every day you are going to stop using all that excessive energy and start to unwind. Sleep is so important when you are manic. If you start to unwind at a decent hour, you hopefully will sleep. If you get a good night’s rest, all those projects will be waiting for you in the morning. If you pace yourself again the next day, your stress level should go down and hopefully your mania will start to subside also. I know it is hard. I am not the greatest at it. However, I am getting better at it and as I have been getting better at it, my manic episodes have been less severe and I don’t do as many things that I regret later. This entry was posted in Uncategorized and tagged bipolar disorder, hypomania, mania, manic episode, sleep importance, stress level resulting in mania. Bookmark the permalink. It is good to read you! I identify with a lot of it… The time I remember being hypo, we increased my medication for a while until I found balance again, what makes me ask you: what’s your experience with medication? Do you have a post about it? Thanks for writing and wanting others to benefit from your experience! There are many groups on Facebook that also talk about specific medications. They are usually closed, just request to join, read the rules and if they allow talk about medication talk, you can ask there.